Marvel's The Avengers is the third highest grossing movie of all time. Pulling in over $623 million at the domestic box office, it was lauded by critics and fans alike, and it appealed to every demographic across the board. Joss Whedon stuck the landing, as they say, creating one of the greatest superhero movies in the history of the genre. That's a hard act to follow for anyone. Where do you go from directing one of the most popular summer movies of all time? Some might have tried to follow it up with another blockbuster in the same vein. Others would have tried to go the indie route or down Oscar Avenue, seeking artistic integrity and Academy gold. Few would have succeeded, most would have failed completely. None could have ever possibly lived up to the hype. Joss, on the other hand, did something completely different and unheard of. He shot a small movie in his backyard, unsure whether or not anyone would ever see it. He grabbed some of his best friends, and made Much Ado About Nothing over the course of a couple weekends. It makes perfect sense, while making little to no sense at all. When you really think about it, the beloved nerd god didn't stray too far off the beaten path. Because, in all honesty, moving from iconic Marvel comic book creator and the greatest writer in the medium Stan Lee to English poet and playwright, and greatest writer of the stage William Shakespeare really isn't that huge of a leap. Marvel Studios knew this when they hired Kenneth Branagh to direct Thor. The actor-turned-director made his directorial debut with Henry V, one of Shakespeare's greatest works. He went onto direct Love's Labour's Lost, As You Like It, Hamlet, and in 1993, even put his own unique spin on Much Ado About Nothing. It's because William Shakespeare's work carries a lot of the same themes that we see in our modern day superhero movies. Especially when it comes to the Marvel adventures, which have always tried to ground their stories and their characters with real human emotion and integrity. While Kenneth Branagh stayed true to the time and characters of the text, cutting to the bone of the comedy by bringing forth a funny-sort of retro-essence that is of the nineties decade it was so lovingly crafted in, Joss Whedon has taken a different approach in updating Much Ado About Nothing for a new generation. He's given the play a contemporary spin, while never losing sight of the play's language, and its dialogue's grand elegance. First and foremost, it remains a comedy. And that's one of the elements that made Marvel's The Avengers such a treat to behold. The man knows his way around a good punchline, as well as a good punch. Much Ado About Nothing sets out to please an audience in a slightly different way than his superhero epic did. He stays true to William Shakespeare's earnest attempts at employing all means necessary to keep a crowd entertained. Which is a running theme in most of Joss' previous TV shows and films. The story keeps in line with what William Shakespeare originally intended, pulling in the same themes that are congruent with what has come before it. Set in the world of small town politics, we meet Leonato (Clark Gregg), the governor of Messina, who is visited by his friend Don Pedro (Reed Diamond). Don Pedro is returning from a victorious modern day political campaign against his rebellious brother Don John (Sean Maher). Accompanying Don Pedro are two of his officers: Benedick (Alexis Denisof) and Claudio (Fran Kranz). In Messina, Claudio falls for Leonato's daughter Hero (Jillian Morgese), all while Benedick verbally spars with Beatrice (Amy Acker), the governor's niece. The budding love between Claudio and Hero eventually prompts Don Pedro to arrange with Leonato for a marriage. In the days leading up to the ceremony, Don Pedro, with the help of Leonato, Claudio and Hero, attempts to sport with Benedick and Beatrice in an effort to trick the two into falling in love. Meanwhile, the villainous Don John, with the help of his allies Conrade (Riki Lindhome) and Borachio (Spencer Treat Clark), plots against the happy couple, using his own form of trickery to try to destroy the marriage before it begins (Loki, anyone?). Thus, a series of comic and tragic events continue to keep the two couples from truly finding happiness, with love always given a chance to prevail. At first glance, that doesn't seem like it has much to do with the world of superheroes at all. But Marvel's The Avengers had a verbal patter that kept the audience on its toes, and brought a fresh voice to the genre, and its that same thrust and parry here that keeps things flying at the speed of light. 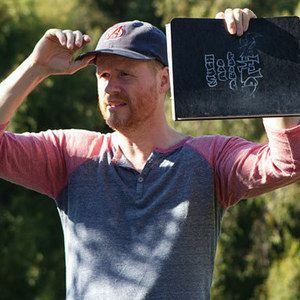 Joss Whedon has an ear for jokes that prick like a needle, and droll interplay that grabs a viewer by the throat, and doesn't easily let go. But it's really the themes of the two movies that tie them together so nicely, and make this an obvious, almost envious follow-up. At its heart, Much Ado About Nothing is about making judgments on what we see. And that rings true through the core dynamics of The Avengers as a team themselves. Delving into their alter egos, and their superhero costumes, and they way they are presented to the world. William Shakespeare's core concept of appearance and reality is a staple of the costumed hero, and it is especially true of the S.H.I.E.L.D. agency itself, and Samuel L. Jackson's role as Nick Fury. But its not the only theme that bridges the superhero to Shakespeare gap. Both projects rely heavily on gender roles, deception, and the nature of love. Especially amongst a group of friends who form a team, or a political party that must overcome the evil doing of others. So, as you can see, while moving from the superhero genre to Shakespeare might seem like a bold and daring leap of faith, the two worlds are really not that far removed. It makes perfect sense why Joss Whedon would turn to a small, black and white garage production after such a blockbuster success. Both universes are inherently tied together, and without Shakespeare, its likely that we wouldn't have some of our greatest comic book story arcs. Kenneth Branagh jumped from Shakespeare to superheroes, and Joss Whedon jumped from superheroes to Shakespeare so easily and elegantly, because they are both different sides of the same coin. If you loved what Joss Whedon did with Marvel's The Avengers, you're sure to love his take on Much Ado About Nothing with equal measure.